A suicide bomber attacked a British embassy vehicle in the Afghan capital Kabul on Thursday, killing at least five Afghan civilians and wounding more than 30 others, officials said. An embassy spokesman confirmed the attack and said some people in the vehicle were wounded, without providing further details. The attack took place in the east of the city, shaking parts of Kabul and sending a huge plume of dust and smoke into the air. "Foreign vehicles were targeted by a suicide attacker on a motorcycle," Deputy Interior Minister Gen. Mohammad Ayub Salangi said. Earlier, a local police officer said the attacker was in a car packed with explosives. 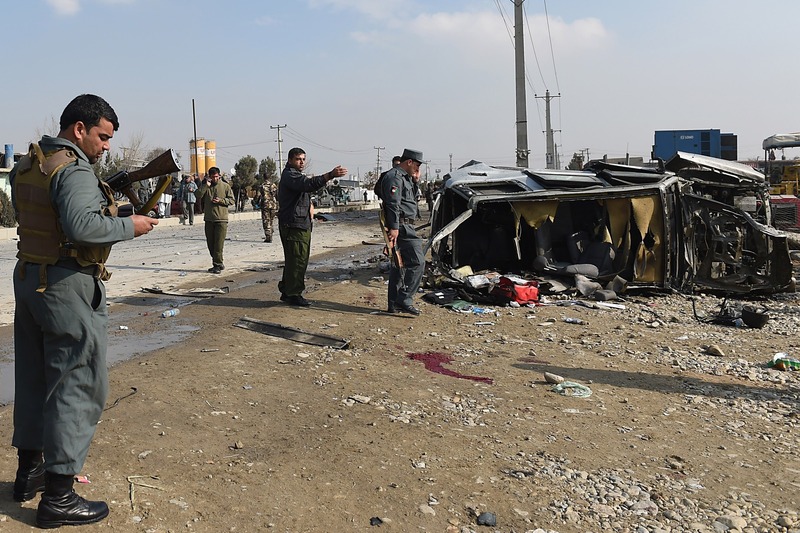 The Taliban claimed responsibility for the attack in a brief statement. In recent weeks, insurgents have launched attacks on military convoys in the area and on compounds housing foreign service companies and their international employees. Kabul has come under almost daily attack as insurgents intensify their war on local security forces and U.S. and NATO troops, who are set to officially conclude their combat role in the country at the end of next month.